Bertina is a new extremely trendy, retro-positioned liqueur, with an exquisite and fruity taste that works well as a key ingredient in many of today’s top selling cocktails. 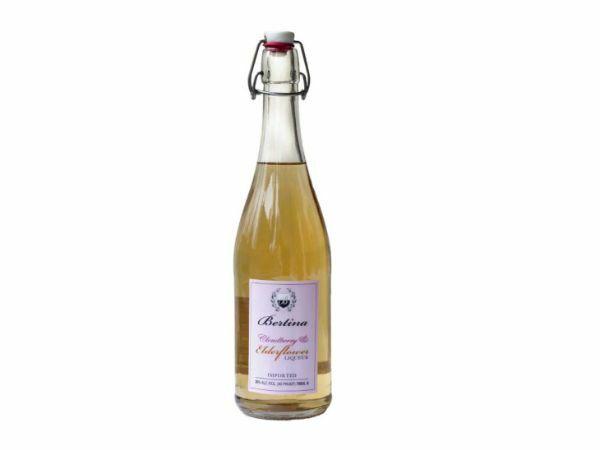 Its lightness guarantees easy mixability with sparkling wine or champagne. The tall retro bottle with a swing-top closure ensures the highest shelf visibility. Cloudberry & Elderflower, a one-of-a-kind combination which will sizzle in your cocktails. Made with Cloudberries picked from Scandinavia's Lapland’s swamps mixed with elderflowers. Elderflower's great taste with a tart twist. The next phase of elderflower cocktails.